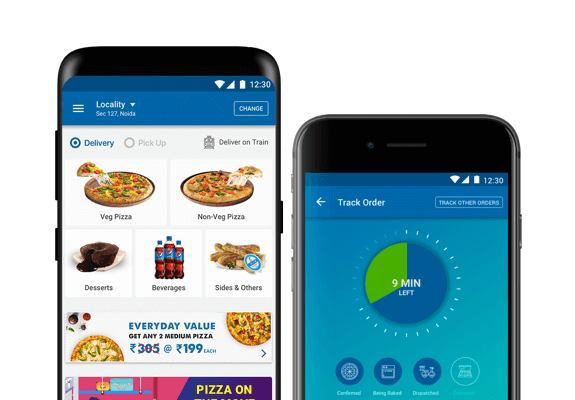 Domino's Pizza: Order Online | Get 2 Regular Pizzas @ ₹99 Each | Everyday Value Offers. Landscape Mode is Currently not Supported. For the best experience please rotate your device. Explore our range of delicious Pizzas, delivered in 30 minutes!